As a leading international bank with a long history in Vietnam, Standard Chartered has been at the forefront of driving innovation and the introduction of world class expertise in the country. In raising the bar for the entire industry, Standard Chartered has helped to create a more robust financial services sector in Vietnam. Standard Chartered believes in building a sustainable business for the long term and is trusted worldwide for upholding high standards of corporate governance, social responsibility, environmental protection and employee persity. 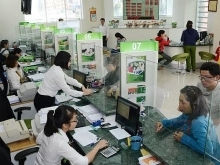 Standard Chartered Vietnam’s achievements have been recognized both globally and locally. Last year, the bank was named “Best Consumer Internet Bank 2013” by Global Finance and “Best Service Provider in Vietnam” in the three categories: Best Cash Management Provider, Best Structured Trade Finance Provider and Best eSolutions Partner Bank by the Asset. 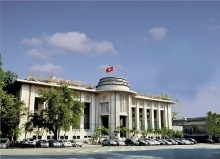 Additionally, the governor of the State Bank of Vietnam gave Standard Chartered the Excellent Labor Collective 2012 Award in recognition of its many contributions to the country./.